We are so glad to see fall is finally here. October was off to a rather warm start, but light jacket-cardigan season has decided to grace us. I love October. Great weather. My moms birthday (today actually. Woo!) The official start of the holiday season. And of course this months birthstone. Opal. Opal has undeniable appeal. It literally comes in every color imaginable. It's been found on Mars (whooooaaaa!!! Space Rock! ), and has been worn for thousands of years by royals and commoners alike to provide protection, confidence, and to look straight up badass and stuff. Fun Fact: Over 80% of the worlds opals are mined in Australia. Black Opals are one of the most expensive stones out there. Top quality specimens can fetch over $2k per carat. Mexican opals are one of my favorite varieties. They always remind me of dinosaur eggs! Another fun fact: Did you know that opals were once believed to make the wearer invisible? Back in the day folks would wear opal jewelry into high risk environments to help them avoid altercations and trouble. Pretty neat huh?! What's your favorite type of opal? Tell us in the comments below! 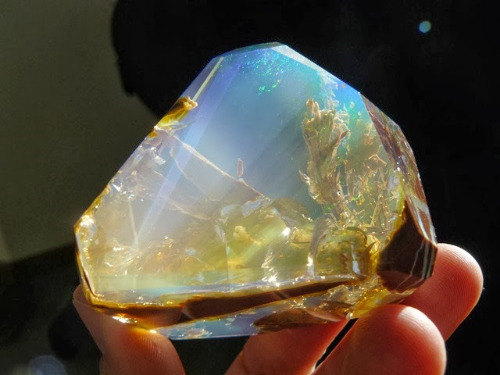 In the mood to have a flashy new piece of opal jewelry made? We can help! Hit the contact button in the menu above or click this link right here and tell us a little bit about what you're looking for. We can help you source the perfect stone and design the jewel of your dreams! Thanks so much for checking out todays blog post. If you enjoyed it please like, comment, share and follow us on social media!